Earlier this term, I worked with one of the year 6 teachers to review their coding program. One of the activities in their old program was for students to make a binary necklace of their name. The idea is not one of our original ones, it has been blogged many times and I think we got the idea originally from a 2014 blog post by Cynthia, L. A quick version of the lesson plan is for students to use the ASCII code for capital and lower case letters to spell out their name on paper, and then let them write out the letters with beads to make a necklace. Red represents a space, black represent 1 and white represents 0. We thought about this activity and weren’t sure if we should keep it. However, two of my year 8 students told me they remember making the necklace in year 6 and they loved it. Some of last year’s teachers also told me the same. So we decided to keep the activity in the program. 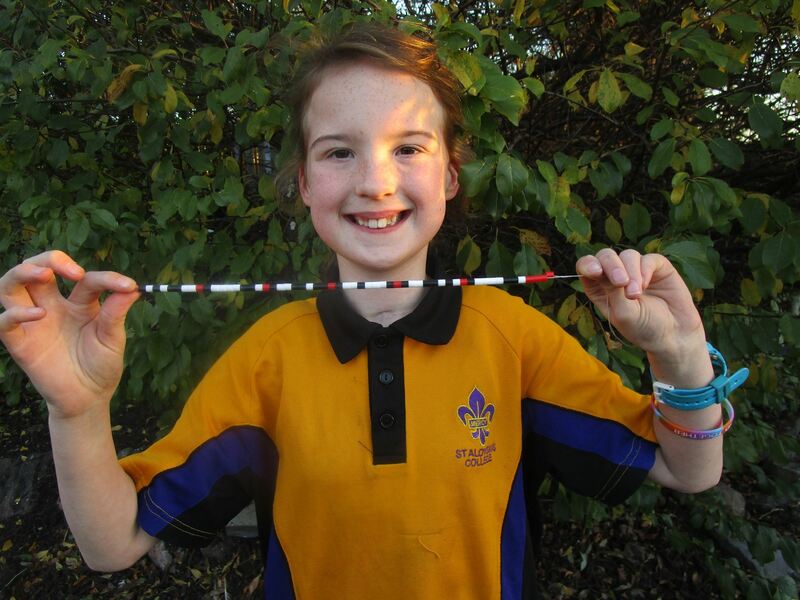 Then my daughter (who is in Year 6) came home from school excited, and told me she learnt about binary at school and she made a necklace. “Guess what it says?” she asked me. “I kind of know squid (her nickname) I replied, but ask your father”. He had no idea so this lead into a very long conversation with my daughter explaining binary to her dad. I did ask her why she liked the activity and she said that she liked cracking ‘the code’ but then being able to create something with it, not just writing it. Therefore, I highly recommend this learning task!